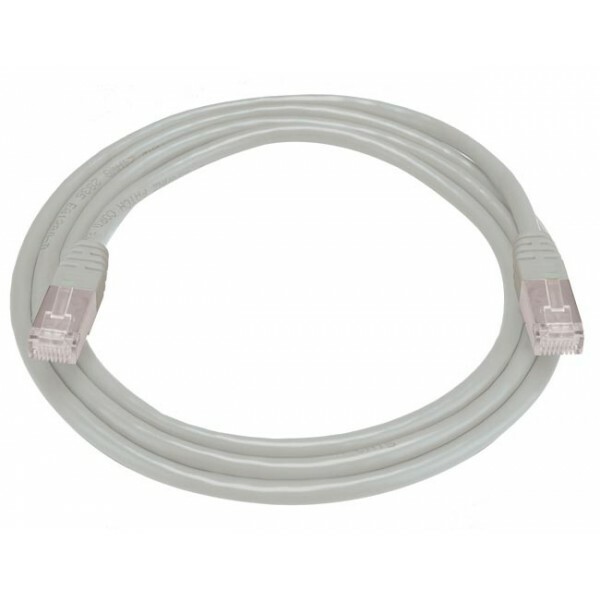 Use the CAT6 Shielded low smoke zero halogen cables to connect DSL/cable modems, patch panels, network adapters, routers, hubs, switches, and other networking devices. Shielded patch cords are protected from EMI/RFI interference. These CAT6 Shielded Patch Cords consist of 4 pairs, 26 AWG, stranded conductors with LSZH jackets. Conductors are wired to gold plated RJ45 plugs in accordance with the TIA/EIA 568B standard. The cables are available in gray with a length of five feet. Use to connect your network card to a 10/100/1000 Base-T hub or switch. Category 6 stranded FTP cable wired straight through. 26AWG with gold plated 8x8 (RJ45) plugs. Patch cables & boots are the same color. Overall foil shield around the four pairs protects signals from external noise.